Feeling nostalgic for the past? 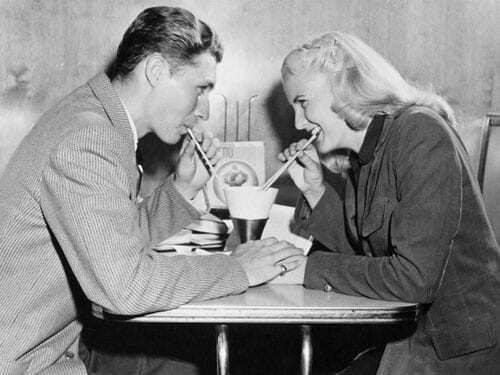 Chicago Bagels, we got your back with 3 unique date ideas to fulfill your #tbt cravings! For LA, SF, Boston, DC, and NYC, check out our posts dedicated to your local city. Better clean up your car and recline those seats back! 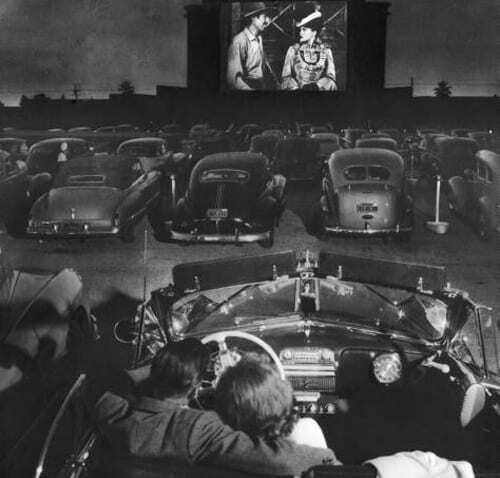 Take your date to Cascade’s Drive-In, a popular hot spot for new releases. Best of all, they’re open 7 nights a week for you movie junkies. Bowling is one of those great sports you can be good at without having to be in shape. 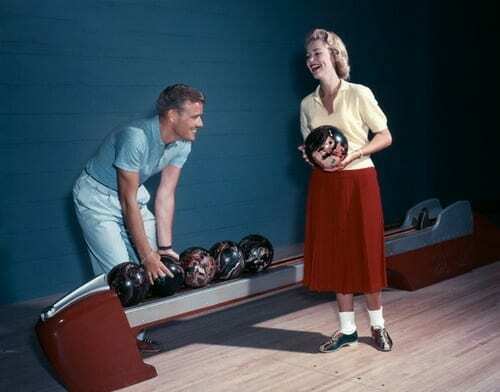 But you still gotta buckle up those (ugly, we know) shoes and get ready to impress your date, Bagels, because competition can get tough at the Pinstripes bowling alley. Fortunately they got live blues & jazz, Italian cuisine, and wine to help quench the potentially sub-par performance for a guaranteed good time. Nothing beats burgers, fries & shakes from 25 Degrees Restauraunt. Though not an actual diner, their food is just as high-quality as one from back in the days. If you’re up for it, they also have fantastic mimosas, martinis & other cocktails for you to get your drink on. Check em out! 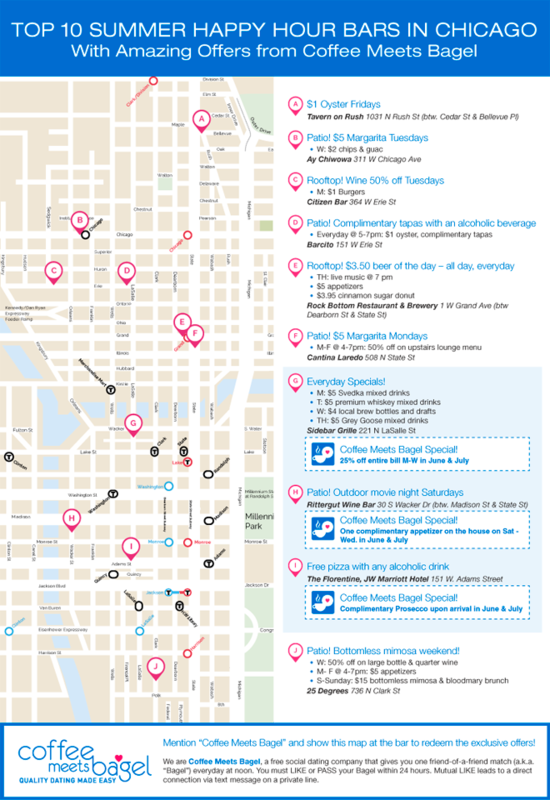 Still finalizing your fireworks plans for your 4th of July in Chicago? Don’t sweat it (literally), we rated these 3 spots the best for Chicago regulars like yourself to check out! Yup, you heard us right. 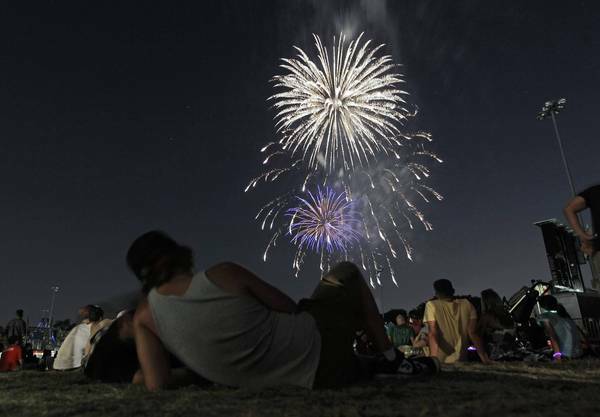 The Skokie Park District will be kicking off the 4th of July celebrations with a spectacular 3-D Fireworks Fest at dusk. 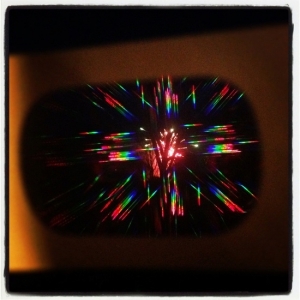 The first 10,000 people will receive a free pair of 3-D glasses, starting at 5pm. There will also be food, drinks, and family games available to kill time. All the more reason to go early! Apparently this is what it looks like from 3-D glasses, but don’t take our word for it. If you don’t have plans during the day, the Skokie Park District will also be having a parade at noon, featuring marching bands, tumblrs, live animals, drill teams, vintage automobiles, and more! Why wait till nighttime to celebrate? 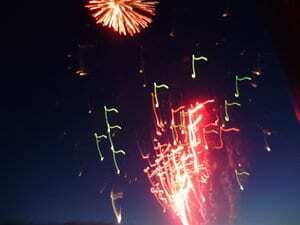 The Evanston 4th of July Association will be hosting a musical fireworks extravaganza to the radio station 90.5 FM that can be viewed from any part of the lakefront area east of Downtown Evanston. Evanston’s 4th of July celebrations also start early, with a parade at 2pm off Central Street, and a band concert at 7:30pm at the Dawes Park Lagoon. 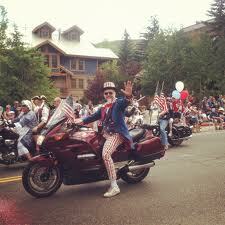 Enjoy your day off with all the festivities they have to offer! Watch the fireworks with a delicious plate of ribs from the best rib vendors around at the Naperville Exchange Club’s Ribfest. 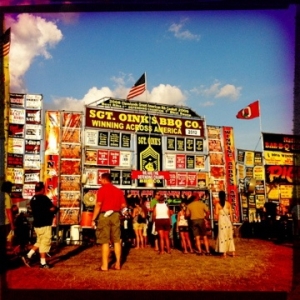 Although the Ribfest is ongoing from July 3rd to 7th, you can have free entry to the fireworks show at 7:30pm. 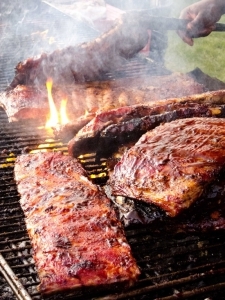 Enjoy the fireworks to the 95.9 FM “The River” radio station and nom along to the show with delicious ribs! Where: Knoch Park, 700 S. West St.
It’s summer time and the weather is nice, what more could you ask for? How about summer festivals with a side of date ideas? This series will be dedicated to summer festivals that will be happening in your area. First we’ll take a look at some of the events in Chicago. These cool happenings are also some great summer date ideas in Chicago. SausageFest Chicago– No, it’s not what you’re thinking…Unless if you’re thinking about hot dogs, sausages, and other encased meats at this delicious food at this festival. If you’re date is a foodie fanatic, this the spot for you. Nothing is better that a street dog after a long day. Where: Sheffield Ave. & Addison St. 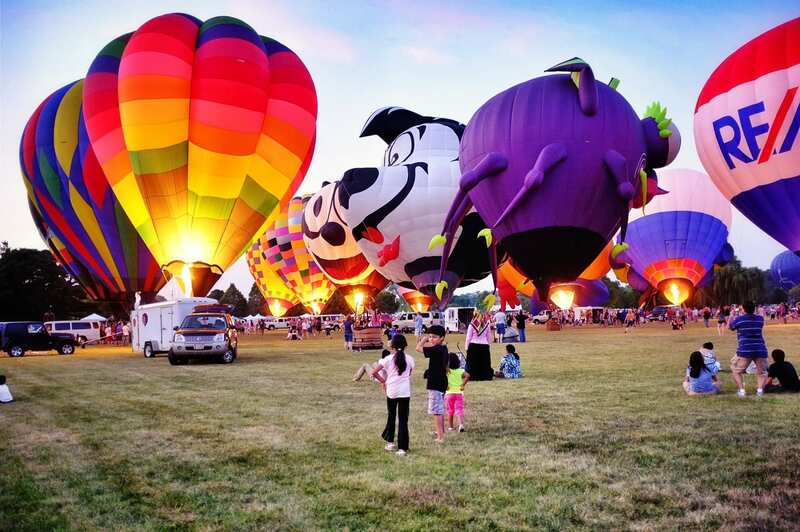 Eyes to the Sky Festival– Come out to Lisle Community Park from July 3-7 to see the famous hot air balloons at the Eyes to the Sky Festival. 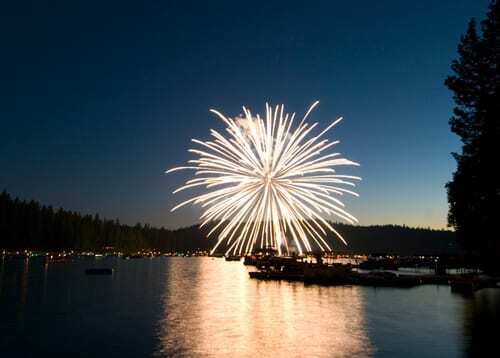 There will also be a carnival as well as a 4th of July fireworks show. Besides, what could be more romantic than strolling through the park and watching hot air balloons with your date? Chicago Summer Dance – If or your date have two left feet, and have been wanting to go out dancing check out Chicago Summer Dance. From swing to salsa you can learn how to groove for free all summer long. The “Getting Plugged In” series is back! We previously covered New York and Boston. This time around we take a look at how to get plugged into the Windy City. 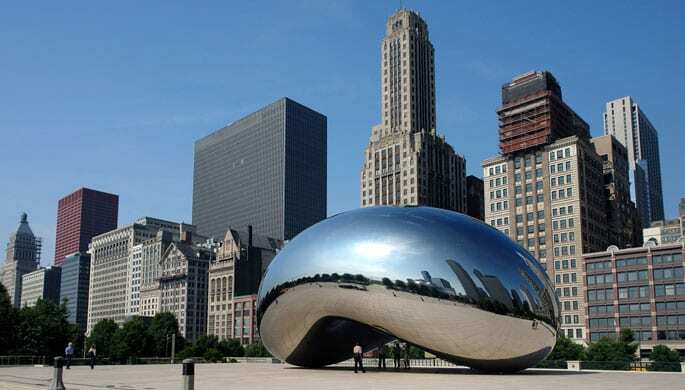 And while deep-dish pizzas and Cubs games are great, there is more to Chicago than that. So if you’re new to Chicago, or plan on moving there in the near future, this is the post for you! Break into the underground scene with this online mag. With a goal of sharing the stories of Chicago’s creatives, Chicago Hustles Magazine showcases art, music, fashion and more from the Windy City. Food trucks are awesome. What’s even more awesome is the fact that Chicago has food trucks of its own. From tamales to gourmet empanadas, you can definitely find a taste of Chicago through Chicago Food Truck Finder. Lucadores serve you tamales on the Tamale Spaceship, one of the many food trucks on Chicago Food Truck finder. The Local Beet– If you prefer cooking your own food, The Local Beet has got you covered for fresh, local ingredients. With a list of almost 200 farmers markets to choose from, you can definitely find one that will be near you. Their websites also features a blog showcasing different recipes as well as links to their vendors. Everyone knows trying to find street parking in the city is a major hassle. Thankfully Faspark can show you where to park so that you can reach your destination that much faster. This app shows you available free, permit, and metered spots; and it also gives information on nearby parking structures. 2” (2 Inch)– Winter is always fun: snowball fights, skiing, hot chocolate. 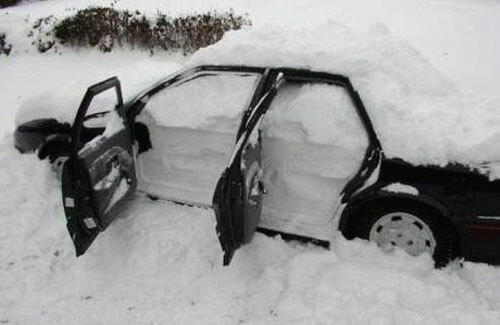 What isn’t fun about winter is having to drive through the snow. Enter 2”, a nifty website that tells you which streets to take when snow is on the streets and also tells you where not to park during snow season. A local Chicago bar known for being the “regular guy bar for irregular folks who just don’t fit in, or just don’t want to fit in.” From blue grass to blue comedy, there is always an event happening at this small joint. And although it does cost to get into these events, it’ll never cost you over $20. There is always something going on at The Hideout, even if it is a rockin’ violin solo. It’s the official start of the summer! Summer is here, and so are we! Perfect time to hang out with friends, soak up some rays and get Bagel’d. We want you to rock as hard as possible, so we put together a Top 10 Summer Happy Hour Bars in Chicago, just for you. We’ve also partnered with some of them to bring you some exclusive deals. Fun Date Ideas: Chicago- 4/27 Festivals, Beer, and Bacon! 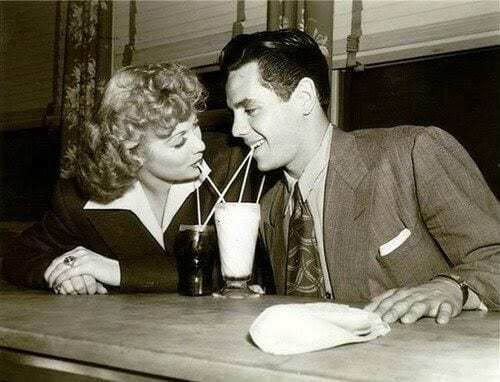 We know we gave you SF Bagels some fun stuff to do last weekend so this weekend we figure we’ll send some fun date ideas with dome dating tips over the Chicago way! First up if you happened to miss Baconfest, what some may say is one of the most fun events in Chicago, don’t worry because the Beer and Bacon Fest is waiting for you. Fun dating tips– Make sure your Bagel isn’t a vegetarian before you take them here! Good Deal– $40 for a pre-sale ticket that gets you lots of beer and bacon: e-mail [email protected] for your ticket! Added Bonus: Great deals every week! Mon-$5 burgers, Thurs- $5 martinis, Sat- $4 mimosas, and that’s just to name a few. Plus free showings of Mad Men every Sunday at 9pm. Fat Cat has great inexpensive drinks and some of the best mojitos! Fun dating tips– festivals are great for dates because there’s always something for you and your Bagel to do, taste, learn, or talk about! Free!- we always love free events, there are free tastings of hundreds of artisan cheeses, meats, beers, liquors and more. Not to mention getting to meet the producers and hear their great culinary techniques. Here’s a list of who will be there. Beer & Cheese- what more could you ask for? Added Bonus: If you can’t make it this Saturday, the Chicago French Market is open every week with great vendors for breakfast, lunch, and dinner. Give your Bagel some fun options and have a great time! Hours are M-F 7:30 am-7:30pm Sat 8:30am-5:30pm. So whether you want to keep your fun date ideas casual or step it up a notch, you can have a great time anytime of day here. Our second stop is Chicago! We hit up food, drink and travel writer Amy Cavanaugh for some easy and fun date ideas in Chicago that you and your Bagels can enjoy. 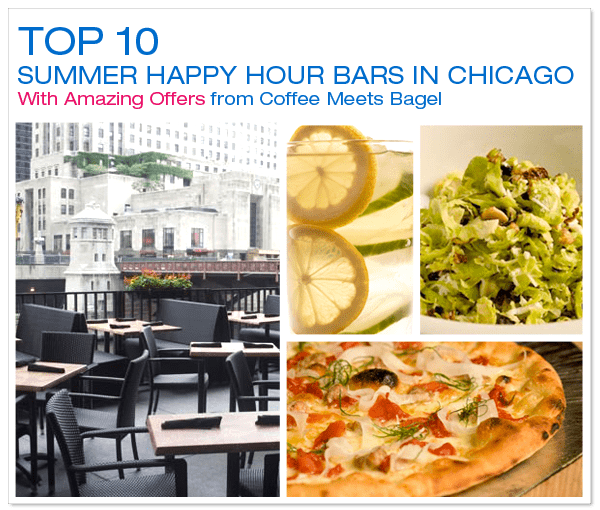 These places you can enjoy all year round and are some of the best things to do in Chicago in the summer! Why you should listen to her: She is a freelance food, drink, and travel writer who regularly writes for Chicagoist, Serious Eats, and Choose Chicago, the city’s tourism bureau. She has also been recently published in the Boston Globe, Chicago Tribune, Eater, The Brooklyn Rail, Time Out Chicago, and elsewhere. Insider Date Tip: Start with wine, end with beer, and in between, sample Southern fare and peruse some great stores. We’ll be posting more fun date ideas in all our CMB cities, urban dating from the experts. So keep a look out on the CMB Blog!